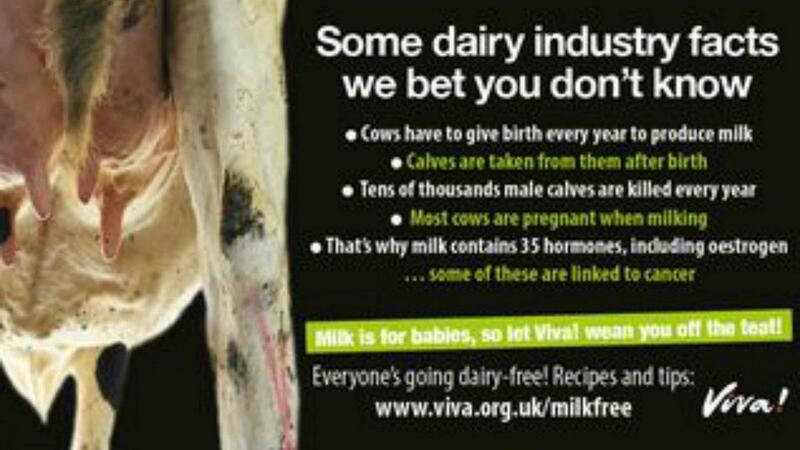 An advert by anti-dairy vegan group Viva! has been banned over ’misleading’ claims that hormones found in milk are linked to cancer. It was displayed on buses in and around Bristol in September 2017. Two people complained the ad was misleading. The Advertising Standards Authority (ASA) said consumers would interpret the ad to mean that drinking cows’ milk could increase a person’s risk of developing cancer. The ASA said the various sources provided by Viva! provided adequate evidence that over 35 hormones were present in cows’ milk. “The studies and meta-analysis did not support Viva’s assertion that the findings of increased risk of cancer were specifically a result of the hormones present in cows’ milk rather than to other factors. It ruled the ad must not appear again and told Viva! “not to make claims which stated or implied that due to the presence of hormones, drinking cows’ milk could increase a person’s risk of developing cancer”. Dr Hazel Wright, FUW Senior Policy Officer, said: “Dairy products are known to be a nutritional and beneficial component of a healthy diet. Unfortunately, despite high welfare, environmental and hygiene standards, the dairy sector has frustratingly been subjected to unsubstantiated and detrimental claims by a vegan pressure group. “FUW dairy farmers will no doubt be pleased by the ASA ruling and we welcome moves which continue to weed out false and misleading claims against our industry,” added Dr Wright. Earlier this year British dairying was tasked with negating every anti-dairy message with five positive messages about the industry in order to negate growing criticism from pressure groups. That was the message from livestock sustainability consultant Dr Judith Capper at the annual Semex Dairy Conference as she called on dairy farmers to get the right messages out to consumers.